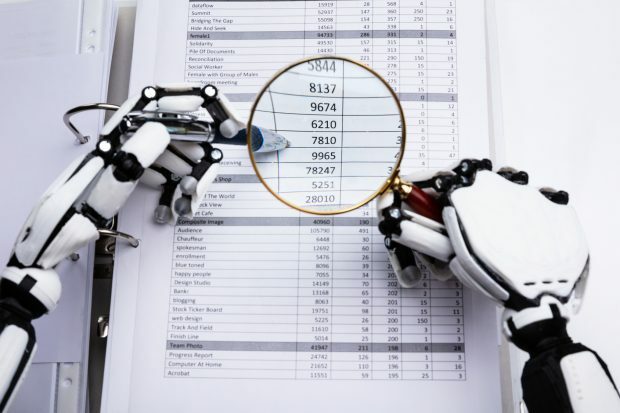 AI has led to some predicting the catastrophic demise of the audit profession – however, as robots don’t quite live up to the job-stealing hype that’s been predicted, how will the smart machine age really effect the evolution of auditing? Jillian Alderman explores the reality of audit in the AI era in an article in the Graziadio Business Review this week. The main way AI has influenced the audit profession today is through the introduction of Robotic Process Automation (RPA) – a way to rapidly process large quantities of data for routine tasks. The process frees up audit teams to spend more time on analysis and the exceptions flagged up by RPA. Alderman points out that using machines for more than pattern identification would pose an ethical issue – auditors are expected to make principle-based decisions, which AI cannot currently do. Data analytics technology advances have also led us closer to continuous audit. Now, certain transactions and accounts can be monitored constantly, bringing higher levels of assurance and accuracy, and feeding into more accurate periodic reports. With increased pressure on auditors to be accurate, they must focus on data identification, extraction and analysis at a rapid pace. Alderman highlights that where data is not structured enough for RPA, auditors must go to great lengths to correctly extract the data, with numerous technology firms springing up for this purpose. Auditors increasingly rely on the power of digitally analysing structured data – for improving speed, quality and assurance. For AI to continue improving the work auditors do, however, it is key for the data to be in machine readable, structured format. The modernisation of the XBRL standard (see the OIM item above) to make aspects of all of this simpler and easier is just one of the many reasons why the audit and accounting profession remains a key stakeholder for XBRL International and firms and professional associations are important members.